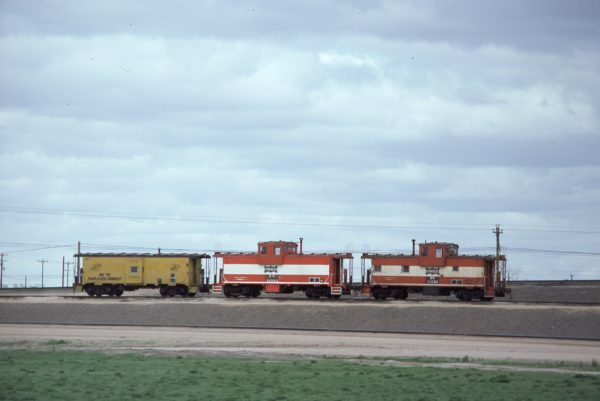 U30B 832, SD45s 920 and 917, and Caboose 1245 North of Thayer, Missouri on December 31, 1979 (R.R. Taylor). 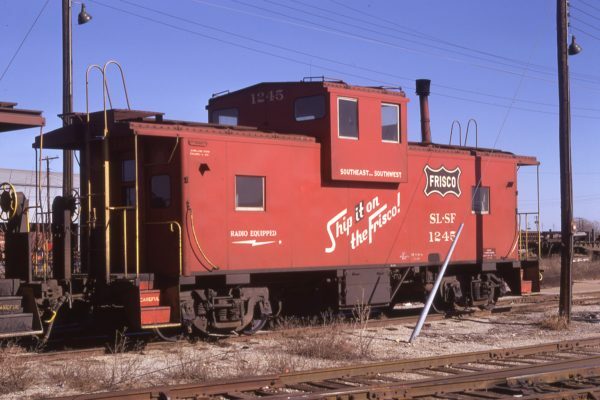 Cabooses 11573 (Frisco 1245) and 11588 (Frisco 1260) at North Platte, Nebraska on April 22, 1981. 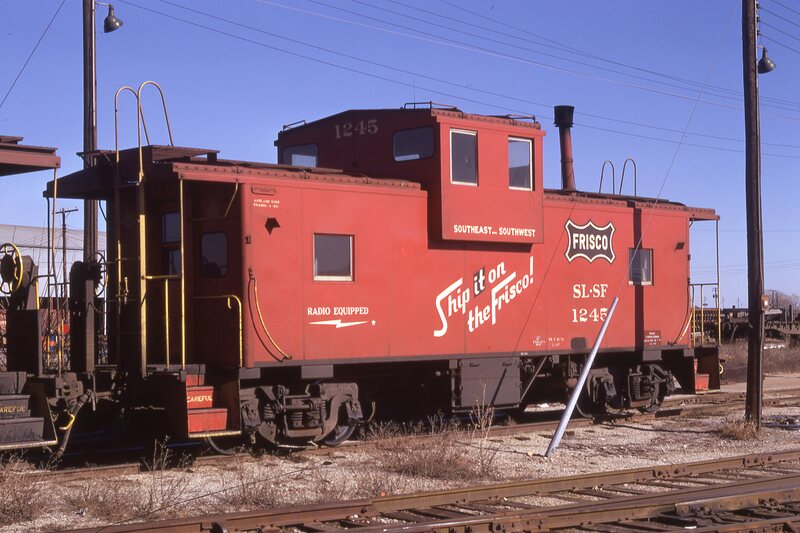 Caboose 1245 at Oklahoma City, Oklahoma on December 11, 1971 (Owen Leander). 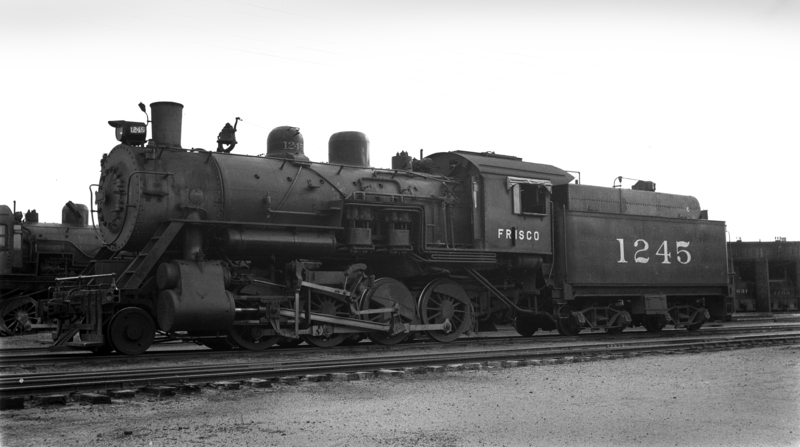 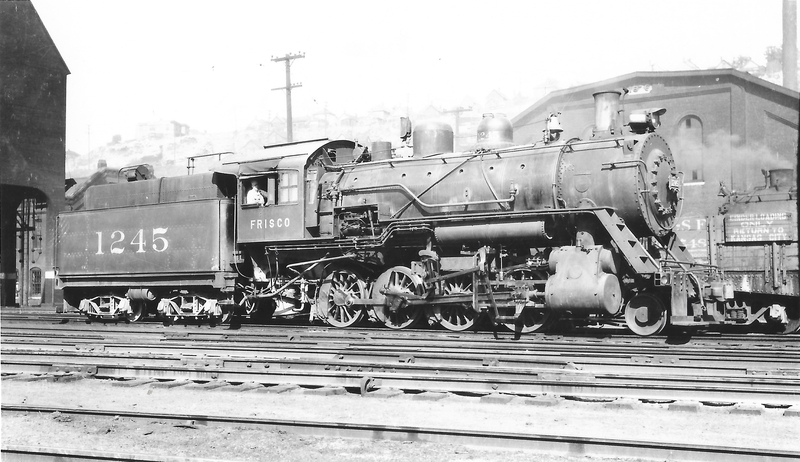 2-8-0 1245 at Enid, Oklahoma on July 2, 1939 (Ralph Graves).